Asaba – Close to one week after masked gunmen in tricycle shot and killed a bread seller and abandoned him in a pool of his own blood, Delta Police are yet to fish out members of the rival cult group that masterminded the killing. The middle-aged man, popularly known as A ’Boy, was selling bread along the popular Nnebisi Road in Asaba around 6.30pm when he was shot dead by unknown gunmen last Thursday. The assailants came in a tricycle, shot the man in the head at close range and fired sporadically into the air to scare people and fled the scene. Eyewitnesses said the gunmen posed as if they wanted to buy bread, called the deceased to bring bread, and thereafter stabbed him in his stomach with a knife, before pumping bullets into his head, leading to his immediate death. It was also gathered that the gunmen came in a tricycle and were heavily masked to avoid being identified by people around the area which is heavily populated by bread sellers. Pandemonium was let loose after the murder when the decease was left lying in the pool of his blood on the road thereby causing traffic jam along the popular Nnebisi Road in Asaba. Also, the residents and the traders around the area hastily packed up, locked up their stalls and fled for fear of being attacked by gun-wielding cult boys. 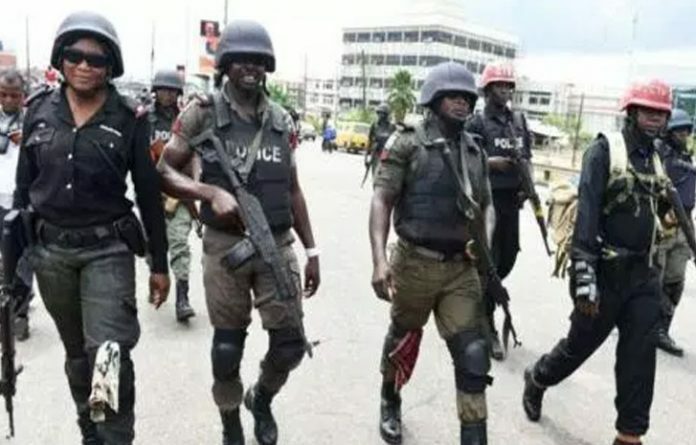 It took the intervention of the police patrol team from the State Police Command who were immediately alerted to restore normalcy in the area. The patrol team later took the body away in a van. Eyewitnesses who spoke on condition of anonymity said that the decease, who was married and had a child, was a victim of suspected rival cult group attack. When contacted, the Police Public Relations Officer, DSP Andrew Aniamaka said the police command has not been able to track the perpetrators but some members of cult group have been arrested and helping the command in its investigation.